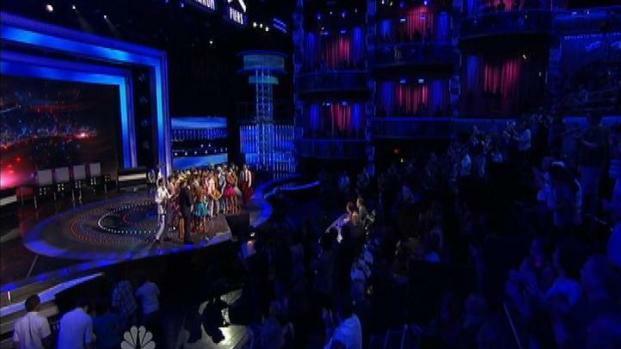 Tuesday August 23rd ushered in the first semi-finals competition on America's Got Talent. Twelve acts battled for a chance to travel to the next round, and eventually Las Vegas. Tuesday was a night of standing ovations on America's Got Talent as the first night of semi-finals got off to a very strong start. "Wow, I don't think I ever stood up that much," says Piers Morgan, judge. "But you do it naturally. You stand up when you feel like it's been an amazing performance." The only LA contestant was Melissa Villasenor, who grew up in Whittier. "She's a local girl. She's incredibly talented, and no matter what happens, this has been a huge opportunity for her to be seen, and she will go on to do really well," says Sharon Osbourne, judge. "I listened to a lot of Brittney Spears when I was 12, and then I just heard her so much, because I love her so much," Melissa Villasenor recalls. "I started flowing out."